Although a relative abundance of studies are published about technology and its potentials in education, there is a marked lack of evidence-based research perspectives depicting what-learners-actually-do in ICT-rich environments. This study examined Indonesian university students' use of ICTs in their independent learning endeavors. It was designed as a multiple case study with two phases, survey and interviews. The data revealed that the students pursued mixed experiences and feelings, both optimistic and distracted when collecting information online. While they enjoyed easy access to information, they felt overwhelmed with irrelevant activities that they called unconstructive learning. Self-regulation became the key success to their learning. Those who could control their exploration would gain maximum results. The current stage of ICT development has reshaped the uses of networked computers to enable learners to actively obtain information and become active participants in learning rather than passive recipients (Laine & Nygren, 2016; Sutinen, 2013). 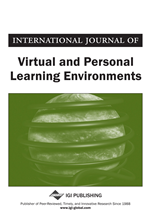 Proponents of educational technology argue that networked computers have changed learning processes to promote constructivist learning experiences (Merriënboer, 2016; Weasenforth, Biesenbach-Lucas, & Meloni, 2002). Networked computers are claimed to have the capacity to accommodate proactive learning as they allow students to access information and materials and benefit them in constructing their understanding. In particular, Mayordomo and Onrubia (2015), Chang (2003), and Bonk and King (1998) found that networked computers could promote active and collaborative construction of knowledge and engagement in contextualized tasks.